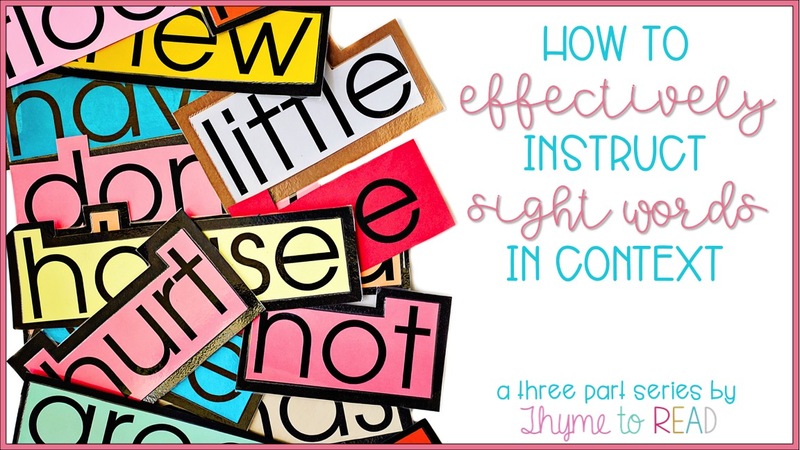 Hello, and welcome to the third (and last) post in my "Teaching Sight Words" series. 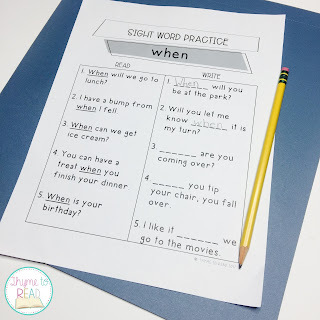 If you are just joining me, I have recently posted about making your sight word instruction explicit and hands on, as well as 10 amazing literacy centers, you could implement tomorrow. Today, I would like to share with you, how you can take your sight words from isolated instruction and practice, to real context application. When the students first come in, we may play a sight word game called Teacher vs. Students, my friend Jenn, from Reading in Room 11 shared about the game HERE. It is a very engaging game, that the students always enjoy (because they always win)! Otherwise, they will practice some word identification with their sight word tents (you can read about them in my last post, #1). These are great bell-ringers, or warm-up activities to shake out some cobwebs, or for you to complete an informal assessment. Then, I will walk them through the steps of our multi-sensory "red" word routine. You can read more about this lesson structure in my first post. Next, I will begin to bridge the connection between isolation, and context by using a pocket chart, with sentences and missing sight words. The students work together to complete the sentences, before I ask them to read aloud the sentences to a partner. Again, this is a great opportunity to take notes on how the students are transferring the words from isolation, to context. After that, I introduce a text. I try very hard to find a text that provides repetition of the sight word(s) we just practiced. I am very lucky that my school district has a subscription to Reading A-Z. This website has a wide selection of leveled texts, that also support repetitive sight word reading. In addition to the leveled book library, they also have High-Frequency word books. Unfortunately, there is no way to search for a sight word, so I usually do a lot of clicking and searching. Thankfully, I have found it to be (VERY) worth my time so I can give my students the support they need with reading sight words in text. 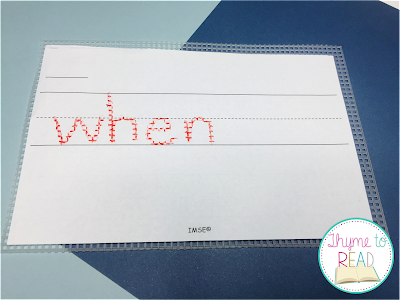 Finally, I have created this sight word "homework" template. 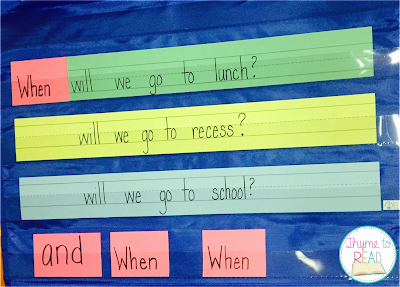 I customize the word each week to provide more simple sentences, and fill in the blank sentences for my students to read. You can grab my EXCLUSIVE BLOG FREEBIE template here. With any remaining time, my students can complete this activity. Or, they may take it home for practice, or I have used it as a bell ringer the following day. No matter how I use it, when completed, I keep this page in their sight word folder for review. After this lesson, I progress monitor my students on weekly basis. I check their words in isolation, but I'm always cognizant of how they are doing with reading sight words in text. I check in with informal reading conferences, when my students read aloud to me, formal running records and fluency assessments. 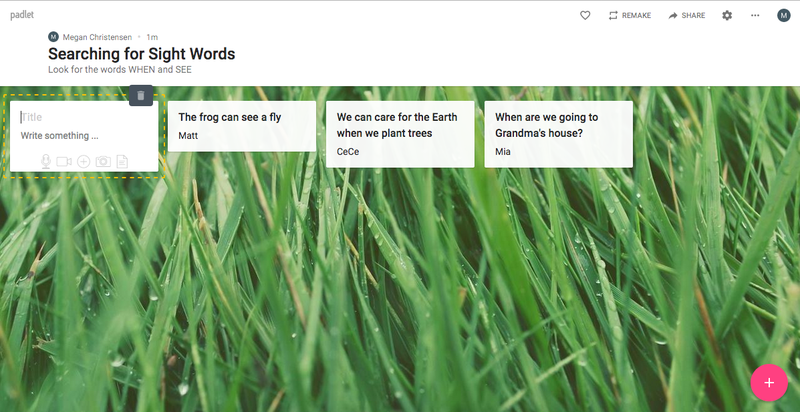 I also open a Padlet for my students to post sight words they have found in a text. When I am working one-on-one with a student, my other students are tasked with reading independently. 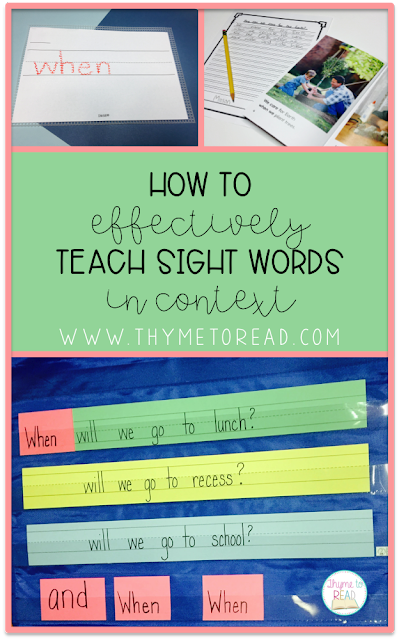 While reading, I post 2-4 sight words I want them to look out for. If they find one of the words in their book, they need to add it to the Padlet with their name. I just leave my iPad open, and the students can add their word without interrupting my time with another child. For more exposure, and to help sink these new sight words into memory, we will continue to play games like Road Race, Jenga and sort our Cheetah Words. The growth I have seen with this predictable lesson outline has really helped my students make great, LASTING gains with their sight words. Sometimes this foundational skill can be difficult to teach and plan, so I hope I have given you some ideas to add to your tool-box.